Mopping up against unranked teams doesn’t exactly make for the most exciting tennis, but it’s something that all elite teams need to do with relative ease. After taking care of Arizona (8-7, 0-4) and Arizona State (5-8, 0-4) at Hellman Tennis Complex last weekend, No. 19 Cal (8-3, 3-0) will face a similar task against Hawai’i (3-6) at home this Saturday. The Rainbow Wahine are currently on a five-match losing streak, their last win coming at UC Irvine more than a month ago. Meanwhile, Cal will be looking for its fifth straight win this weekend. A huge part of that success has been the play of sophomore Julia Rosenqvist (No. 30). Rosenqvist won her second Pac-12 Player of the Week award this season for her performance against the Arizona teams, winning both of her singles matches and both of her doubles matches to keep the Bears undefeated in conference play. Her singles record now stands at 7-3 this spring. Senior Olivia Hauger came in at No. 21, and sophomore Anna Bright remained at No. 74 in Tuesday’s poll. More demonstrative of the Bears’ growth this season are the doubles rankings — Cal’s top doubles pairing, No. 13 Hana Mraz/Rosenqvist only emerged about a month into the season after Cal head coach Amanda Augustus made some changes to the rotation. No. 23 duo Bright/Jasie Dunk has also been instrumental to the Bears’ turnaround in doubles play. 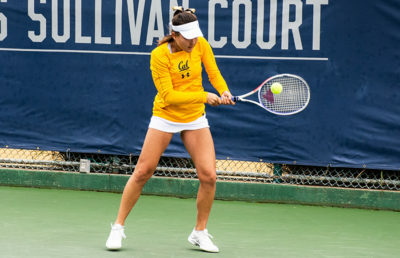 Cal began the season by conceding its first three doubles points. Since then, the Bears have significantly tightened up that aspect of the dual match, winning seven of eight doubles points (with their only loss to then-No. 6 Vanderbilt). 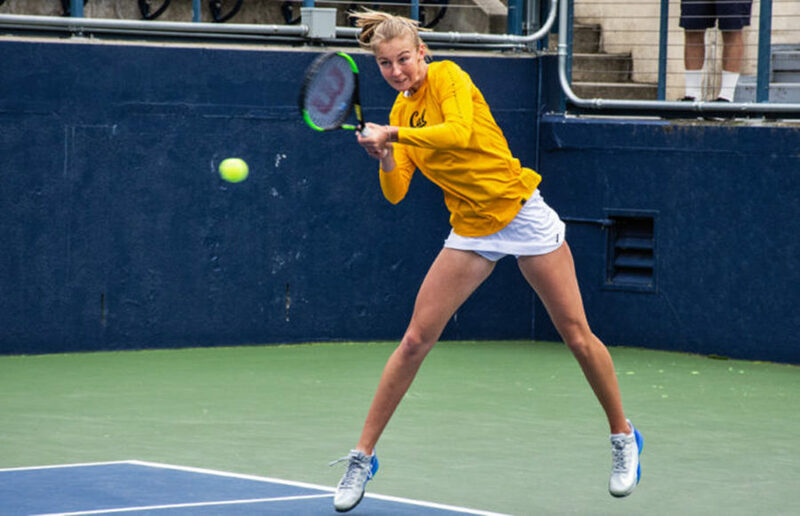 One of those first three doubles losses was against Arizona State, but Cal got its revenge last weekend at home with its changed lineup. Augustus was pleased with her team’s performance in doubles against the Sun Devils, a team known for its strength in that part of the match, but she still emphasized that the practice needed to be better. “We’ll continue to put in a bit of extra work on our doubles, continue to progress on that,” Augustus said. Even though the Bears got the two wins last weekend, there were still some aspects of the game to improve. “I think we didn’t do a good enough job on our shorter balls, on a lot of courts,” Augustus said of the matches against the Arizona teams. Hawai’i’s top-ranked singles player is junior Petra Melounova at No. 100. 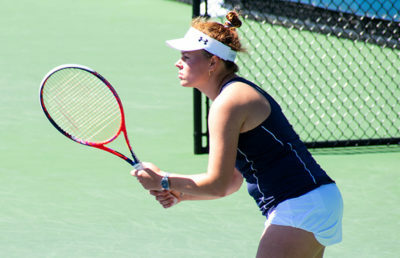 Since losing her first match against Baylor, Melounova hasn’t lost a singles match, winning seven, with one unfinished. Her best win came against USC’s then-No. 34 Salma Ewing, an opponent Rosenqvist also defeated this spring. After Hawai’i, Cal will get back to conference play, where its Pac-12 schedule will become significantly tougher than it has been thus far. No. 9 UCLA, No. 10 Washington and No. 13 USC are all on the docket in the two weeks after Saturday. Matches against this elite competition will be where the Bears can demonstrate their growth and development into a top-tier team. Dev Navani covers women’s tennis. Contact him at [email protected].